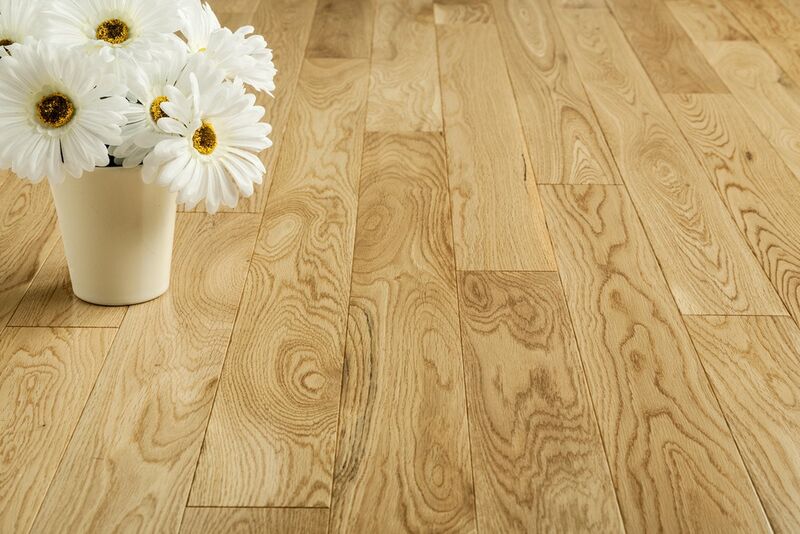 The last thing owners of hardwood floors want to see are scratches and dents in their beautiful floors. However, scratches and dents in your hardwood floors are often hard to avoid. With even the most carefully protected floors, scratches and dents are bound to happen from time to time. Depending on the severity of the scratch or dent, you have some options available to you in terms of how you can properly fix the damage to your hardwood floors. When it comes to fixing scratches in hardwood floors, you are usually dealing with a light scratch or one that is deeper and goes into the actual wood. 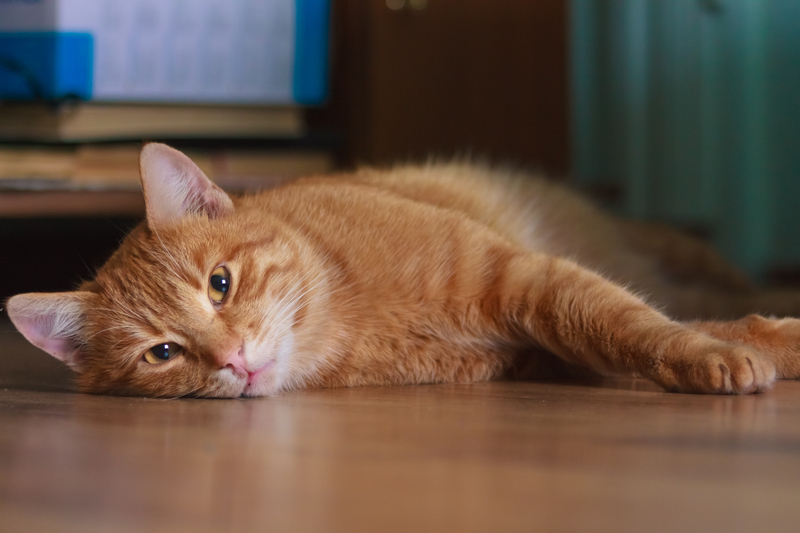 For depressions in hardwood floors, these are usually dents made in the wood. With the proper materials, neither of these is difficult to remove. 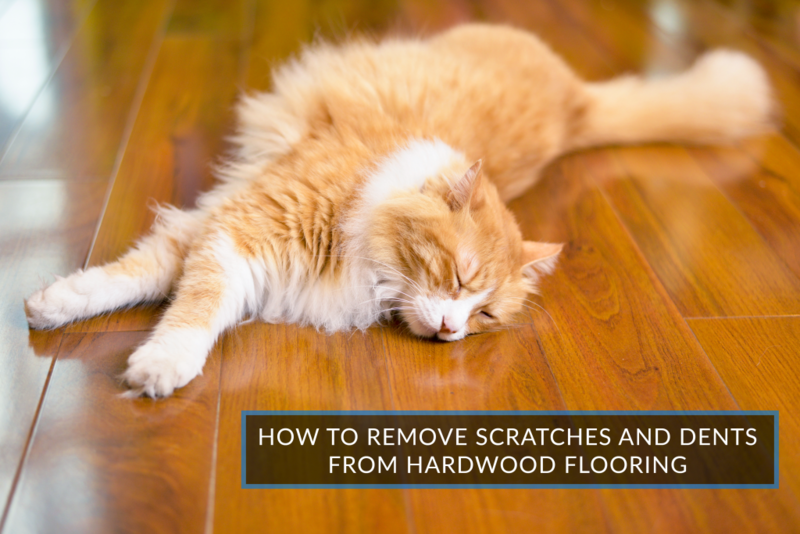 Scratches are generally removed by filling in the scratch or sanding the wood floor down to remove the scratch. To remove light scratches, you’ll need mineral spirits and a fine steel wool pad. Rub with the grain along the length of the scratch; rubbing against the grain can cause more scratches that you will have to fix later on. Once you can no longer see the scratch and the wood is smooth, follow by rubbing with mineral spirits. There are also many wood floor repair kits that you can purchase that contain touch up markers and sticks in multiple stain and finish colors. These kits are available at most hardware stores or available through the hardwood floor manufacturer. If you don’t want to purchase a complete repair kit, you can also purchase individual floor markers in the shade you need to match the stain or finish on the floor. Some scratches, though, are more difficult to deal with and require some additional work. For deep scratches or gouges in your hardwood floor, you’ll need some additional materials. Allow about 24 hours to complete the removal process. Begin by using lightweight sandpaper to sand along the grain; taking care not to sand too hard. You want to sand the area until the wood is smooth. Once you’ve completed sanding, fill the scratch with wood filler. Don’t be tempted to use wood putty. The putty may not take to the color of the stain well and show up lighter on the surface of the floor. Wood filler comes in many colors and is generally easier to match to the color of the hardwood floor. When filling the scratched area of the floor, it’s perfectly acceptable to overfill the scratch crevice. After the wood filler has dried, sand the wood filler down until it is smooth with the rest of the floor. Finally, you are able to refinish the board to match the rest of the floor. During the removal process, don’t forget to vacuum after each sanding, so that when you fill the scratch and refinish the floor, you aren’t including any dust from the sanding. Failure to vacuum or clean between sandings can result in a gritty feeling finish. Removing dents from hardwood floors is a different process from removing scratches. Many dents can be removed by using a combination of heat and moisture to raise the wood back to its original form. Dents happen when something heavy or blunt strikes the wood hard, such as a baseball, or even dishes that are dropped and broken. Inspect the dent carefully to be sure that no wood is missing. If you’re sure that there is no missing or splintered wood in the dent, you can start steaming the wood to swell it back into place or you can place a dampened towel over the dent to raise the wood or combine placing a damp towel on the dent and alternate with a hot iron. After the wood has been raised, be sure to sand it in order to smooth it into place with the surrounding boards. However, even with a heat and moisture method such as steaming, or applying a damp towel to the dent, there is no guarantee that it will work. If the dent is too deep, it may be necessary to fill the dent with an epoxy, wood inlay, or lacquer lay-in. If removing the dent is not an option, you may need to replace the dented piece of flooring with a new board, then sand and refinish to match the floor. Scratched and dented hardwood floors can take away from the appearance of what would otherwise be a beautiful floor. As durable as hardwood floors are, accidents still happen from time to time, and it’s important to take care of even the most minor accidents in order to preserve the look and longevity of the hardwood floor. 25 Did you find this article helpful? We have dog paw scratches in our floors. We cannot afford to sand them back however would like to know if there is any polish out there that may work to fill in the scratches. Need it to be clear as to not change the colour of the floor. Hi Bree. Thanks for reaching out to us! There’s a process called screen & recoat that is a much cheaper and faster option than sanding and refinishing. The point of this process is to buff out the scratches and refinish just those areas. Here is a video that shows this being done: https://www.youtube.com/watch?v=wuQB9yK0kPo. Please let us know if you have any other questions! Will this work on hardwood floors that have been damaged by a computer chair floor mat that was over top of carpet? Thank you for your inquiry! It depends what type of mark the mat has left on the floor. If it is just indented or there is a thin film on top that should work just fine. Please let us know if you have any other questions! Hi. My bamboo floors have lots of scratches in them. They are only 3 years old, so I would prefer not to replace them if possible. Can I repair the scratches the same way as hardwood floors? Thank you in advance. Thank you for getting in touch! Unfortunately you cannot refinish bamboo like solid hardwood. Bamboo is stranded together with resin so it will just start to come apart if you try to sand it. The best option would be to find a color matched wood putty to try to fill in and cover the scratches. Please let us know if you have any other questions! I pulled up carpet in my parents house that was down over 30 years. I thought I was just going to replace the carpet. I found wood throughout the house. A sub floor but really a rough and bumpy wood that was painted. I am not sure if I sand it to smooth it will give a look I can just leave instead of putting carpet over. I guess my question is do you or have you worked with this kind of floor. Is it worth trying to make into wood flooring or should I just re carpet? House is over 100 years old. Picture but I thought maybe 100 years ago it was a standard..
Hi Gil. Thanks for reaching out to us! Unfortunately, there is no way for us to know what exactly the wood is or what kind of condition it is in, so it’s hard to give a proper recommendation. Your best option would to get an inspector or installer in to take a look, as they are able to actually see the space and may have more knowledge on what could have been used in your area at that time. Please let us know if you have any other questions! My vintage oak narrow-plank floors have been refinished too many times. In a few high-traffic, the edge of the tongue-and-groove is gone. This leaves 1/4″ gaps between the boards, which collect dirt and dust (and look bad). Could I use wood filler, or get long “slivers” of oak to fill up this space, then put on a fresh layer of varnish? I cannot spend the money on new floors. Thank you for getting in touch! You can try wood filler to see if that will work, it maybe more of a band-aid fix though. Over time it will wear and you maybe have bigger issues with your floor. At some point it will need to be replaced. Please let us know if there is anything else we can help out with! My beautiful wood floors look like a ball peen hammer was taken to them. Some careless person wore old stilettos with worn caps on them to a house party. I hope the heat thing works. Thanks for the info. The wooden chips on our wooden floor got dislodged because that part remained soaked in water under a flowerpot. The small rectangular pieces got out free as they have expanded a bit. How can we fix them back in? We did the exact same thing with our refridgerator, unfortunately, we had to replace 4 of the boards because of depth, and across the grain scratches. He removed enough boards to get to the damaged ones, then simply continued on. I dented a ingenered brazilian cherry moving an extremely heavy fridge. It is running accrost the grain of about six boards. They r not easy to remove and in the middle of the floors. Can the heat and moisture method work?